American Trucking Associations’ advanced seasonally adjusted (SA) For-Hire Truck Tonnage Index decreased 1.5% in June, following a revised 2.9% gain during May. In June, the index equaled 137.2 (2000=100), down from 139.3 in May. The all-time high was 144 in February. MIQ Logistics is excited to announce that for the sixth consecutive year it is ranked on the Ingram’s list of Top 100 Privately Held Companies in the greater Kansas City area. 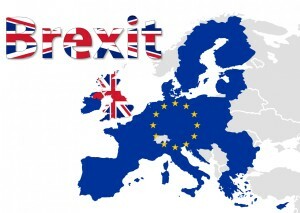 MIQ Logistics is working closely with the UK and European trade associations to lobby on behalf of our customers all over the world to protect their interests throughout this re-negotiation period. We will monitor the progress and advise all our customers of any developments as they occur. One of the UK’s leading fashion brands French Connection has signed a five-year inbound logistics contract with MIQ Logistics, worth around £6m. Freight shipments and expenditures edged up in June after three months of lackluster performance. For the first five months of 2016, U.S. exports were down 6.9 percent compared to 2015, while imports were down 5.2 percent for the same period. These obviously had put a damper on freight performance. GDP growth was 1.1 percent for the first quarter of 2016, slower than the 1.4 percent growth rate in the fourth quarter of 2015. The Federal Reserve Bank of Atlanta’s GDPNow model predicts second quarter GDP of 2.3 percent. The huge jump in employment in June is mostly for service sector jobs. There was virtually no change in transportation, construction, manufacturing or warehousing employment in June. Manufacturing was beginning to stir back to life with positive growth in production and new orders, according to the Institute for Supply Management’s PMI Indexes. Import cargo volume at the nation’s major retail container ports should see a small-but-significant increase this month as merchants stock up for the back-to-school season, then see a larger wave in late summer and fall for the holiday shopping season, according to the monthly Global Port Tracker report released today by the National Retail Federation and Hackett Associates. The Ocean Carrier Equipment Management Association (“OCEMA”) amended its Recommended Best Practice for the Acceptance and Transmission of Verified Gross Mass (VGM) to include a Terminal Weighing Approach (TWA). The TWA contemplates that marine terminals will provide gross container weights directly to ocean carrier stowage planners as VGM on behalf of shippers. What this Means: Vessel Operators have finally agreed that the existing practice, whereby the marine terminals weigh containers prior to loading, is sufficient compliance for purposes of the VGM rule. Many Carriers have indicated they will now accept the weight provided by the terminals in lieu of receiving anything from shippers or NVOCCs with respect to traffic moving to the terminals by truck. With respect to containers moving by rail to the port of lading, most carriers have agreed to provide tare weights of the containers to be added to the weights reported by the shippers and NVOCC’s, and that would again constitute sufficient compliance with the VGM amendment. MIQ Amended Procedures: MIQ will no longer require the Verified Gross Mass (VGM) Certification distributed in June. Instead, MIQ requests that our client shippers either (a) use the revised MIQ Shipper’s Letter of Instruction (SLI) or, should the client shipper prefer to use its own form(s), (b) sign and return the MIQ Amended Terms and Conditions acknowledging that (i) MIQ is entitled to rely on the accuracy of weights provided by the shipper and (ii) agreeing to indemnify and hold MIQ harmless from any and all claims, all claims, losses, penalties or other costs resulting from any incorrect or questionable statements of the weight provided on which MIQ or its agent relies. MIQ will continue to monitor the situation very carefully on a carrier by carrier basis. Please contact your MIQ Account Representative with your questions and concerns. CBP issued CSMS #16-000499 on June 17, 2016 announcing that (a) Local Customs Ports will now issue Liquidated Damage claims without Headquarters’ review; (b) no longer will Ports issue three warnings before initiating Liquidated Damage claims (i.e. the “three strikes” policy); and, (c) Ports may hold cargo instead of (or in addition to) initiating Liquidated Damage claims. The following announced levels from carriers are for upcoming General Rate Increases (GRI) and Peak Season Surcharge (PSS). Additionally, you will find Bunker Fuel Level updates as well as the Low Sulphur Levels for the 3rd quarter of 2016. Because of Great Britain’s vote to leave the European Union, the supply chain industry can expect a period of uncertainty as countries open negotiations and future relationships with Great Britain. This uncertainty will inevitably lead to a challenging time for business, so maintaining effective supply chains that strengthen, retain, and build market share will be essential. Although there is a time of uncertainty, one area is reasonably clear; the Customs landscape will not change for at least two years. Those that operate Customs procedures, apply for Customs Authorizations, or plan to implement duty saving procedures, will remain unhindered for the time being. To stay up to date with the latest issues, regularly check our News section, follow us on Twitter (@MIQLogistics_hq), and subscribe to our email updates. Total nonfarm payroll employment increased by 287,000 in June, and the unemployment rate rose to 4.9 percent, the U.S. Bureau of Labor Statistics reported today. Job growth occurred in leisure and hospitality, health care and social assistance, and financial activities. Employment also increased in information, mostly reflecting the return of workers from a strike.